MALAYSIA-based B2B e-procurement marketplace, Dropee, on Jan 17 announced the closing of a US$341,213 (RM1.4 million) seed round financing led by Vynn Capital, with participation from Prasetia Dwidharma. Dropee will use the proceeds from the financing to drive market expansion, release new product features, and grow the team—all to better serve Dropee’s users and clients. Founded in June 2016, Dropee is a one-stop business-to-business (B2B) eProcurement marketplace transforming the way businesses buy and sell across the supply chain. Dropee’s platform connects suppliers with small-to-medium enterprise (SME) business owners in real time to streamline the product fulfilment process and facilitate bulk purchases through a suite of enterprise solutions. Suppliers and brand owners work directly with Dropee to upgrade their existing operational process to become more efficient, agile, and customer-focused. Leveraging on Dropee’s technology, companies are able to maximize fulfilment output and deliver great customer experience, resulting in new customers and increasing order volumes. Dropee currently specialises in the Food & Beverage, FMCG and Retail market segments. Dropee’s unique value proposition makes it easier for businesses both big and small to manage their procurement and supply chain ecosystem. Information and bulletin system that allows suppliers and customers to disseminate and receive the latest information on suppliers, products and promotion announcements on a centralized dashboard. 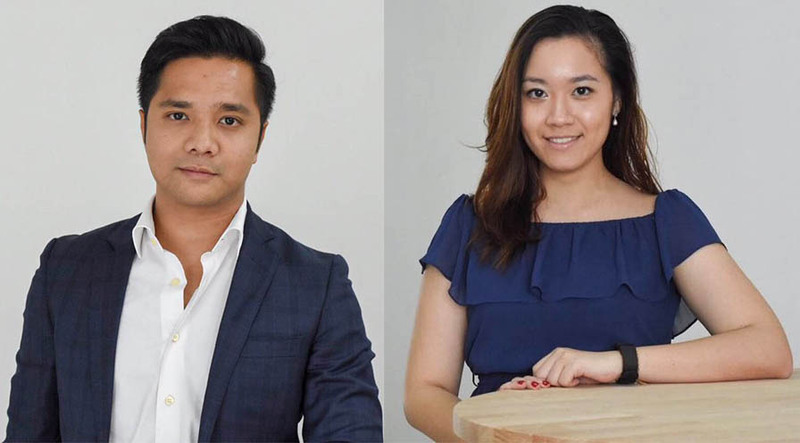 Dropee is led by co-founders Lennise Ng (CEO) and Aizat Rahim (COO), two entrepreneurs with backgrounds in e-commerce marketplace and FMCG industries. Dropee is currently active in Malaysia, with a focus on the metropolitan areas of Kuala Lumpur, Penang and Johor. For 2019, the company aims to increase its business coverage across Malaysia; with plans to expand business operations in neighbouring countries, including Indonesia, Thailand and Vietnam in the near-term future. Dropee currently supports more than 800 brands, over 6,000 SKUs, and serves more than 1,000 businesses to date. The company expects these numbers to significantly increase in 2019 as business growth accelerates. Current business partners include Lee’s Frozen Food, Network Foods, and Unilever, among many others. With this round of financing, Dropee plans to drive market expansion both domestically and regionally; introduce new exciting product features for suppliers to cater to more SMEs, especially in rural areas; and bring on new talent to help realise the company’s ambitions. “From the very beginning, our mission has been to build more meaningful relationships between businesses. We believe we are able to achieve so by increasing transparency across the supply chain. Our goal is to build an altogether new kind of supply chain network that is both resilient and responsive,” said Ng. “In the next few years, the supply chain landscape will be completely different. Many companies that we work with leverage their digital supply chain as a competitive advantage. By plugging in Dropee’s technology into their existing supply chain ecosystem, these companies have improved their brand value and customer loyalty through providing excellent services and a compelling customer experience,” said Aizat. “Dropee offers practical solutions for offline retailers to optimize their businesses and generate growth for local economies. More than just that, the company is also in a good position to serve a wider audience who are interested in cross-border opportunities. This fits with our view that the region will eventually converge into a single unit block of economy,” said Vynn Capital managing partner Victor Chua. Dropee previously raised financing from undisclosed angel investors and a grant from Cradle Fund.